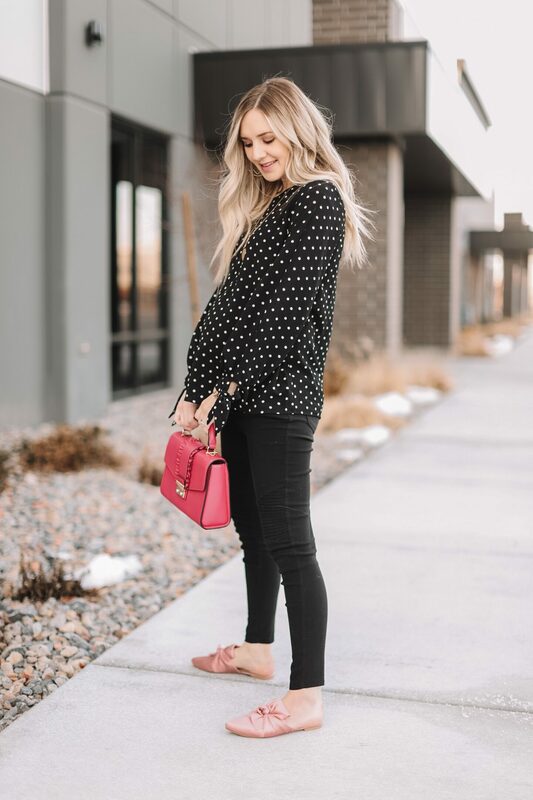 I’ve teamed up with Pink Blush to share a few tips on how I dress my growing bump throughout my pregnancy and which tips I live by to stay on trend and stylish. 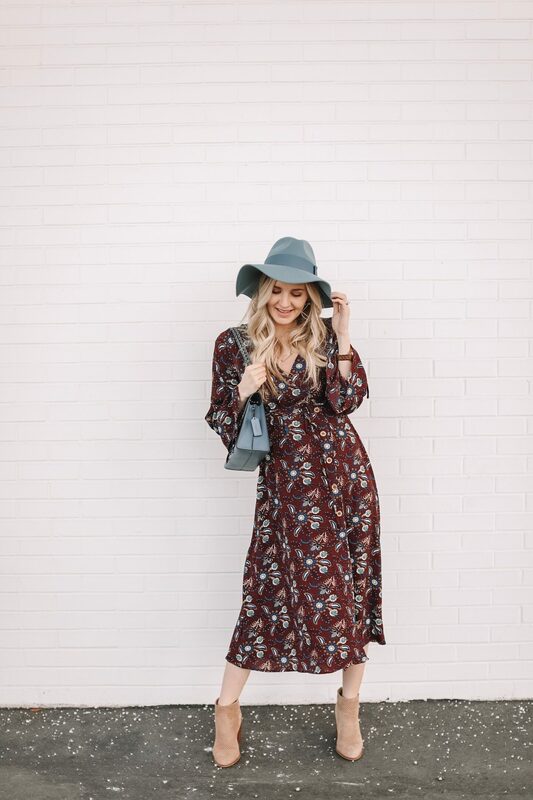 one of the many reasons I love shopping at Pink Blush is because of the variety in women’s, plus and maternity clothing! 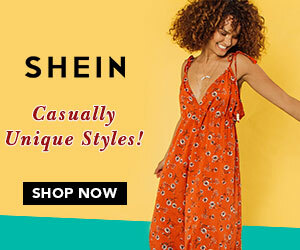 they truly have such a great selection, and they make it easy to find the cutest trends in maternity and plus size styles. 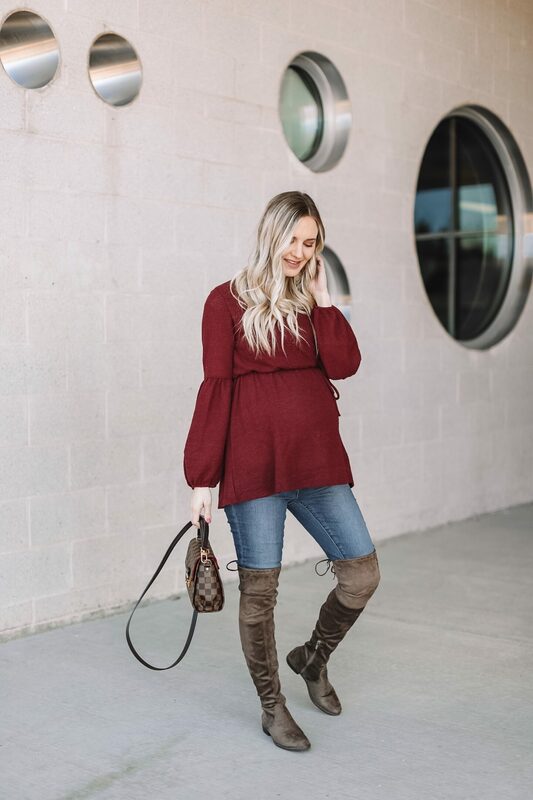 one of my best tricks for mastering maternity dressing is a peplum top, these don’t have to necessarily be labeled as ‘maternity’ to fit and flatter either. 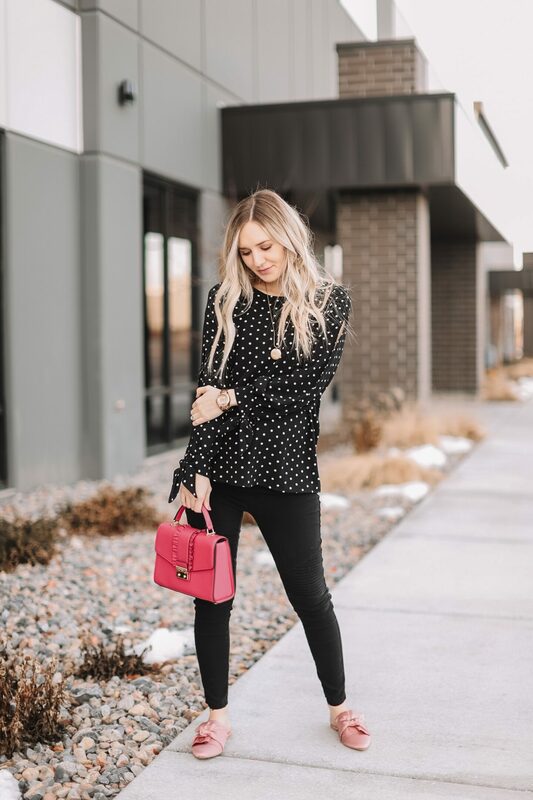 I sometimes size up in a peplum blouse if it’s a non stretch fabric, but what I love about peplums are they flow over your bump. 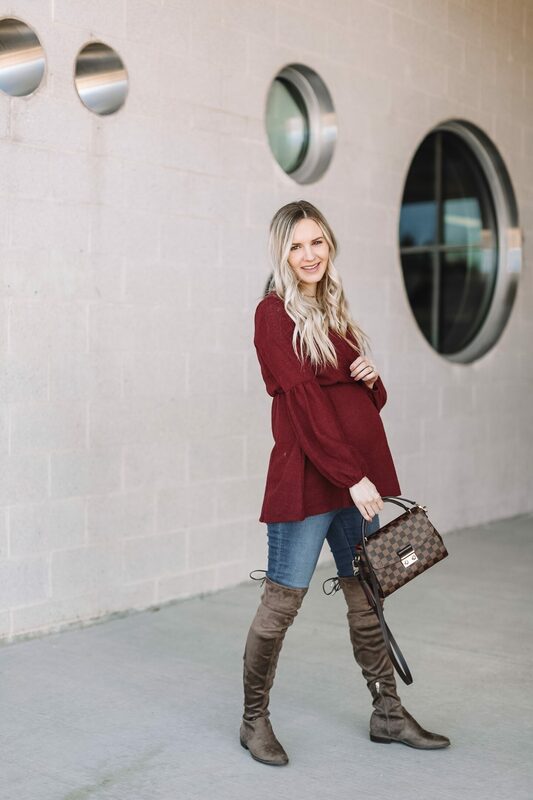 this is especially helpful in the first trimester when the ‘bump’ isn’t quite showing enough yet to declare ‘I’m pregnant!’ so a peplum is a great disguise and for this reason I also love them for post pregnancy style too! my top today fits so well over my growing belly and I’m obsessed with the unique sleeves! 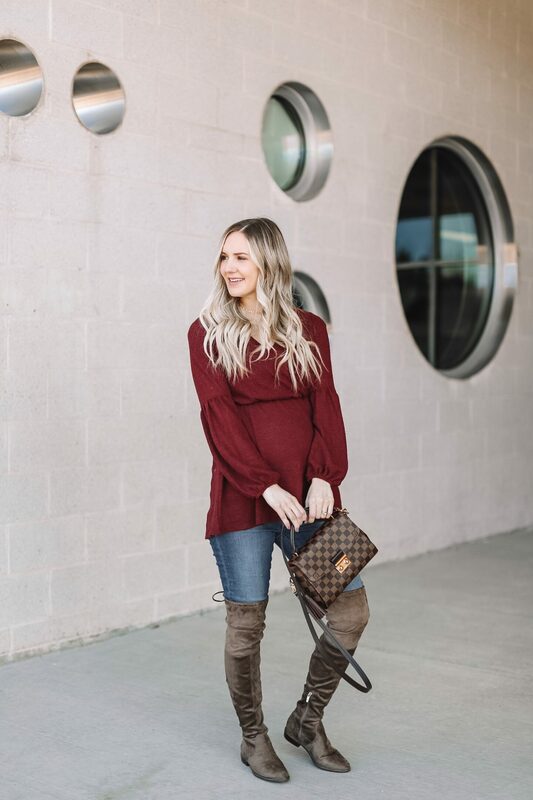 wearing over the knee boots allows some focus on your legs and by wearing a blouse that hits at your hip (instead of longer) will also keep your legs looking long. 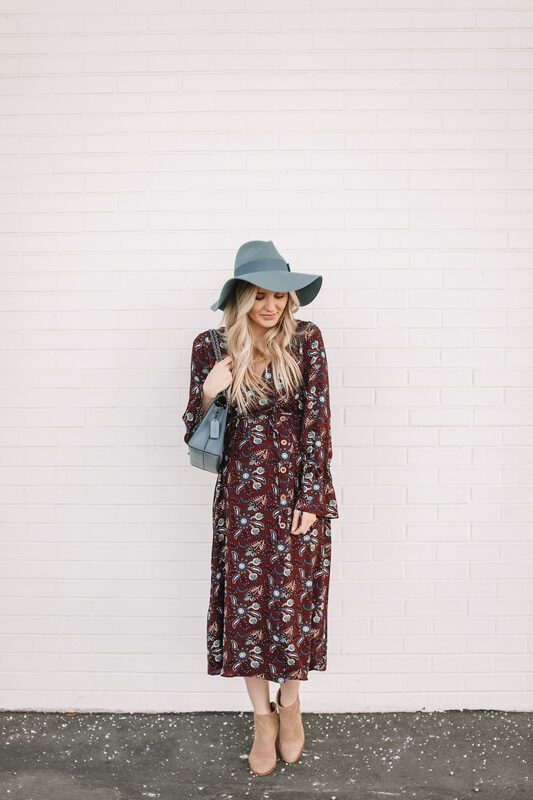 I love prints and patterns and this dress from PinkBlush is adorable! I love that dresses that have adjustable waist bands/stretch can be worn through ALL stages of pregnancy! 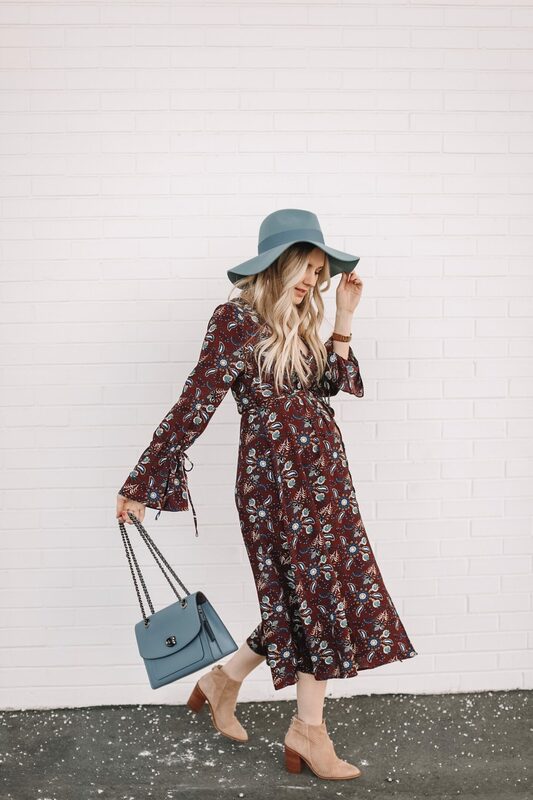 visually a print is more flattering and appealing than a solid, the focus is on you and how dang good you look in the dress! a wrap style or v shape neckline is also great because you can breastfeed in them later, and they adjust with your growing body! v neck styles elongate the neck area, which is really flattering on every woman! 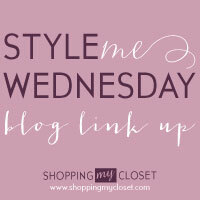 I tend to buy things in mostly neutral colors and accent with brighter colors in my accessories. 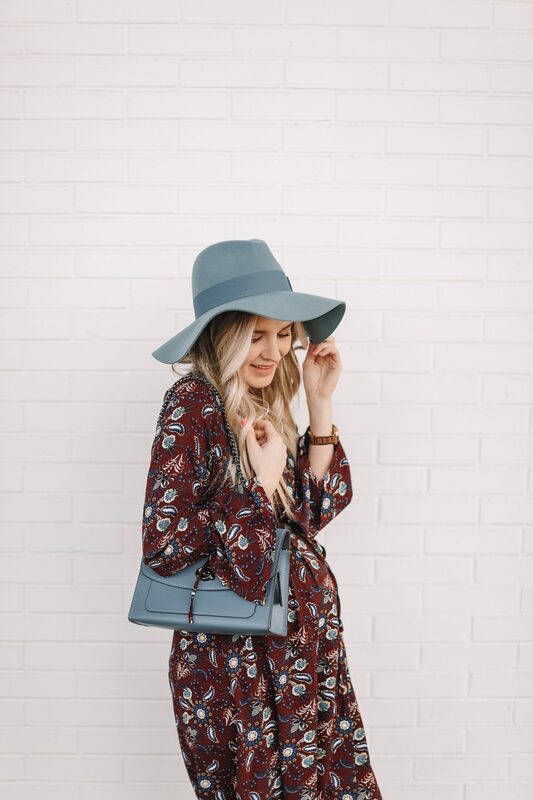 this allows me to use my maternity clothes for multiple seasons and the fun really comes in with how I choose to accessorize that day! I don’t want to feel shorter and wider than I am, so I like to wear booties when I can. 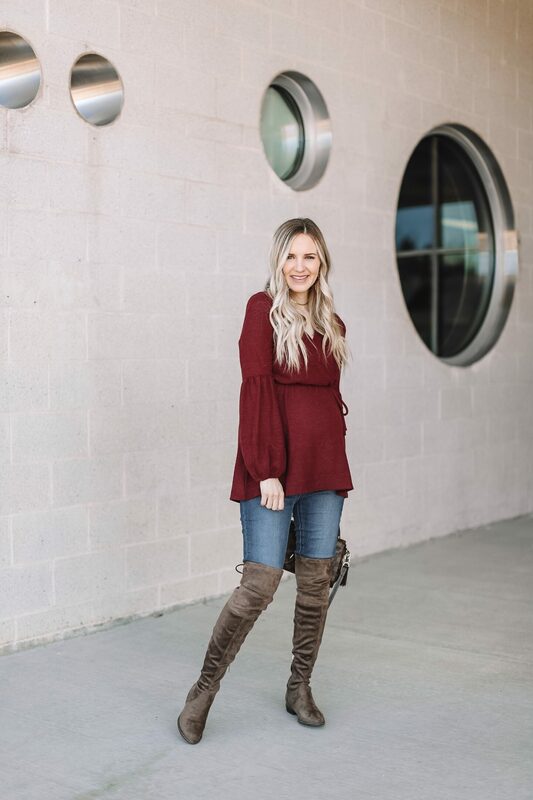 a chunky heel like on these boots is perfect because they’re comfortable and practical for life as a mom but I also feel polished and more stylish than if I were in flip flops or a flat. 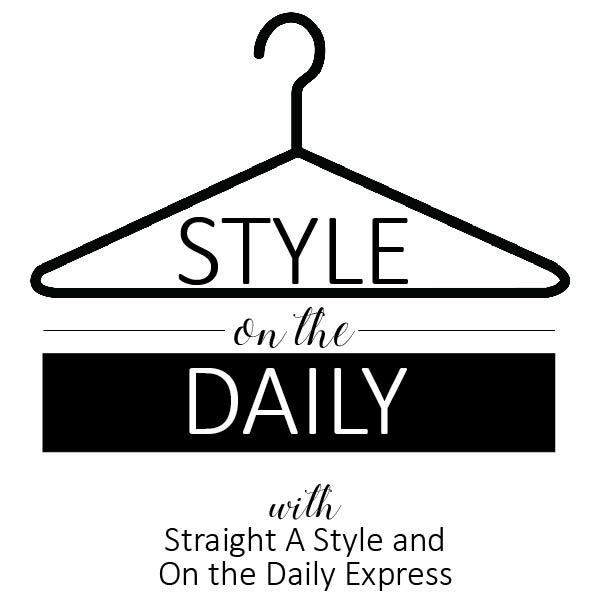 when in doubt – wear black! I’ll be honest, I love my pregnant body and shape but somedays I don’t feel my best. I reach for stretchy black moto leggings and a top I KNOW will be flattering. 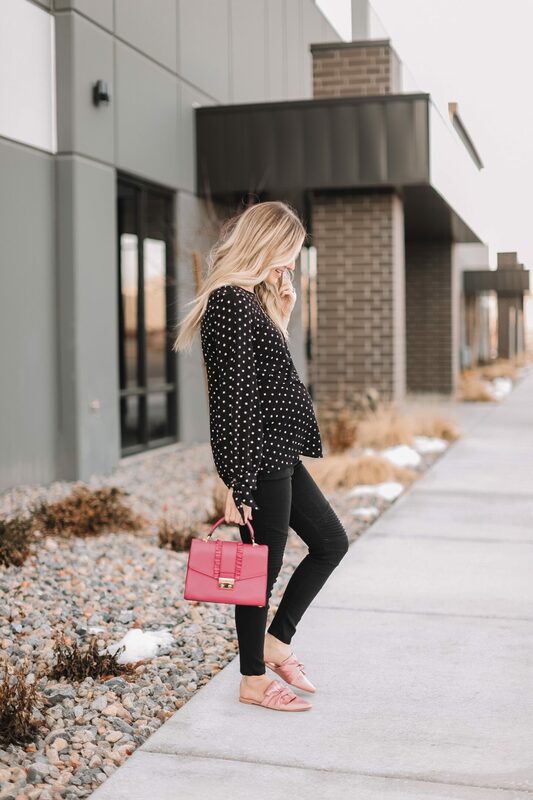 I love this polka dot blouse. 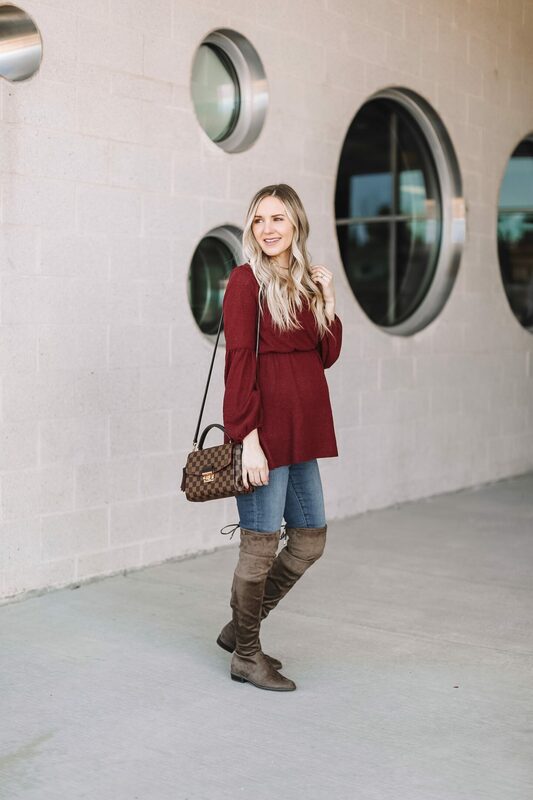 a top like this one is perfect because it can be tucked into jeans or a skirt post pregnancy. 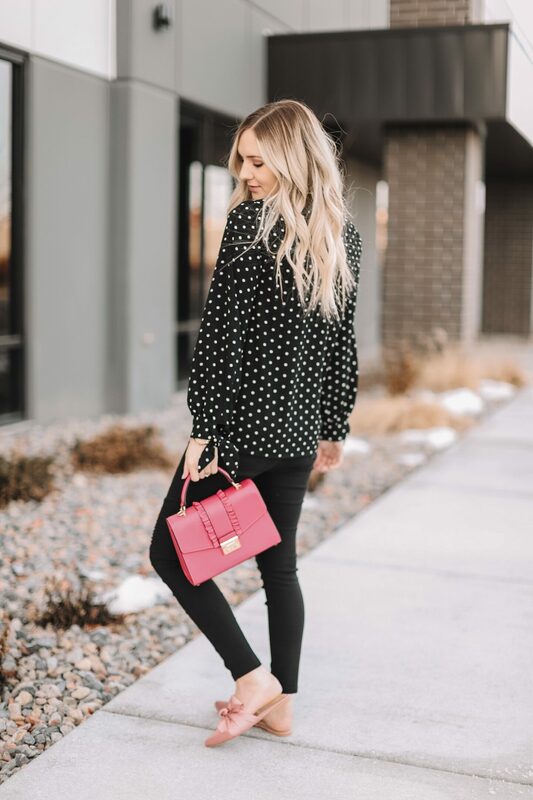 I love blouses with details and personality and I added pops of color through my accessories and shoes. honestly sweat pants and my husband’s tees are all that fit me most days, but it feels SO GOOD to get dressed and put on something pretty. so while I don’t get dolled up every. single. day. it is nice to put on something fun and show my personality through my style. after all you’re pregnant for practically 10 months – that’s a long time to not feel like yourself. so have fun and wear what makes you happy! 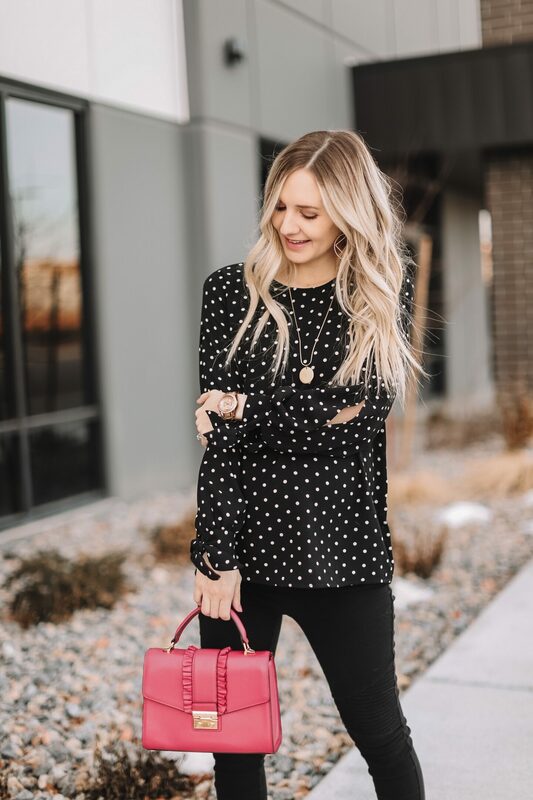 shop my looks below .. thank you Pink Blush for sponsoring this post. 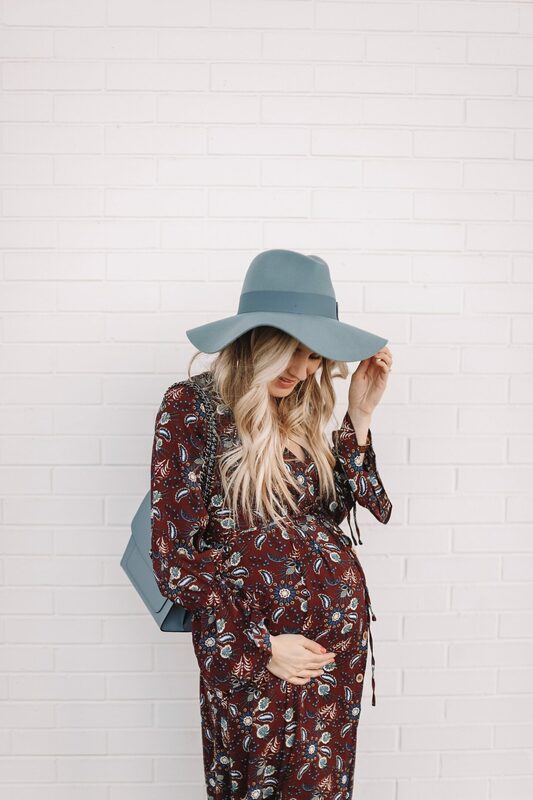 I hope these tips for dressing the bump were helpful! 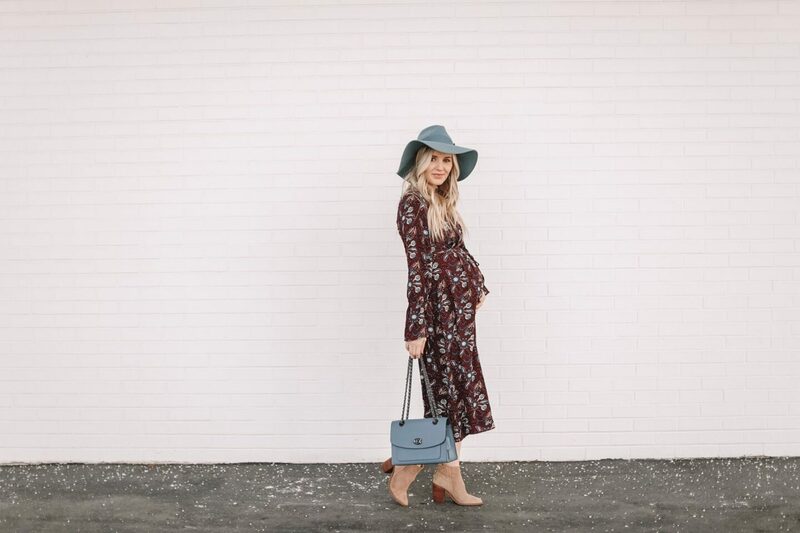 it can be tricky to know what to wear when pregnant, but these are what have worked for me and so I keep rotating through these ideas in new ways!